AlligatorZone® Academy creates educational experiences, environments and curriculum drawn from the front-lines of entrepreneurial innovation to empower parents and educators who want to help their school-age children prepare for careers that don’t yet exist. Students at the Academy enjoy connecting the dots between their formal education in STEM / STEAM or any other discipline where they are exploring their interests in creating something of value to the world outside, with the alternative learning environments at AlligatorZone Academy, which draws upon the experiences of real-world contemporary entrepreneurs and CEOs, some of whom, they students meet in person. 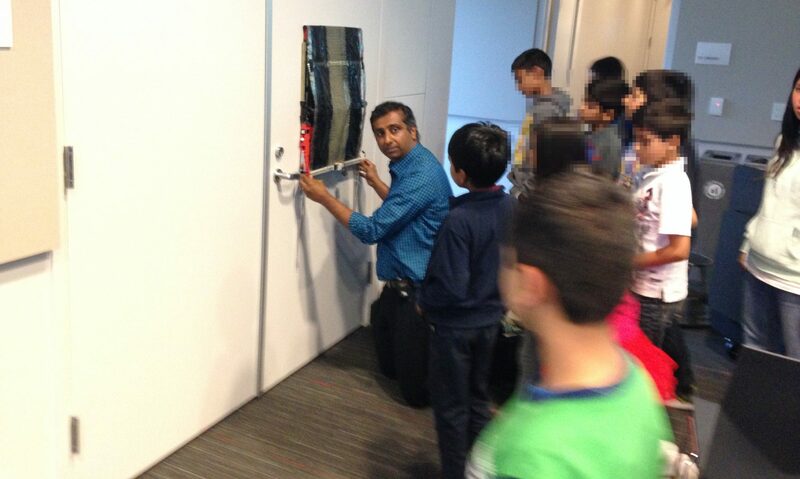 To that end, the Academy is test-driving premium in-person experiences for children, their families and educators, in special workshops. Pick up a brochure on your right to learn more about our workshop series (currently in beta). Scroll down for testimonials and for enrollment information. Or simply contact us online or call 813 644 9064 (8am – 8pm in any U.S. time-zone) to speak to a coach. After School Enrichment Programs: Since Fall 2018, the Academy’s workshops have been piloting an adaptation of our summer workshop as an After-School Club. Ask your PTA to invite AlligatorZone to your school. Summer Enrichment Workshops: Enroll in our Summer Workshops for students. Scroll down for testimonials. 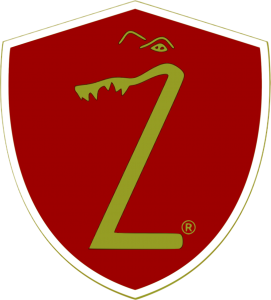 The framework for AlligatorZone® Academy has been meticulously designed to be dynamic even as it provides an enduring alternative learning environment for kids and youth. 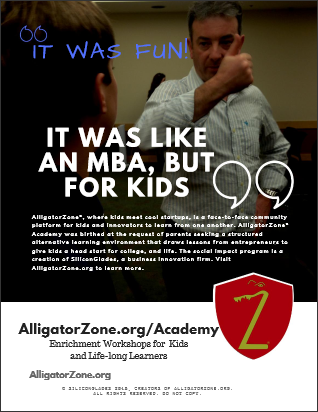 AlligatorZone® Academy aims to help the youngsters develop an entrepreneurial mindset, help them connect the dots between what they learn in STEM and STEAM education and the real-world solutions being developed to address real world problems, with the goal of helping them prepare for careers that very likely don’t yet exist.